A series of videos just for cats truly delivers. My cat Tuppy sat transfixed throughout these two HD visits to the world of tropical fish and songbirds at the feeder. Watch in full screen mode! 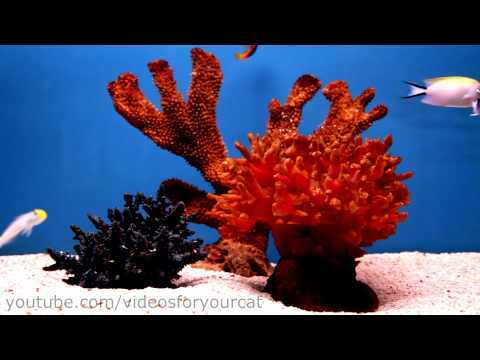 Meghan Koley created these videos for our cats’ enjoyment. Tuppy sat through the entire 31 min. 38 sec. fish video, completely captivated. He was interested throughout the 12 min. 50 sec. birds at the feeder video, too. I plan to keep this bookmarked.